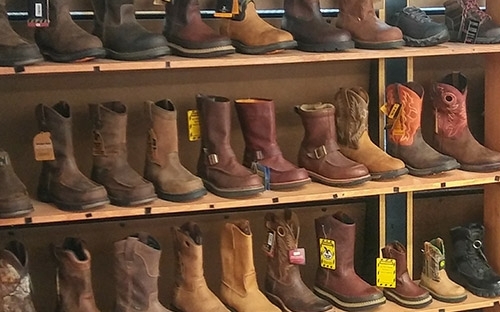 When it’s time for boots, Shiver Lumber is the best boot store in town! We also offer a wide selection of safety toes boots to fit all your safety needs. You will find our boot prices to be the best around. If it’s work clothes you are looking for we’ve got you covered with Carhartt the worlds hardest working clothing line. Look below to see the brands we carry! Top Boot & Apparel Brands You Trust and We Carry!